You’re building a house. Which do you do first? A). Select a style and a plan, or, B). Select a building lot. Both approaches have merit. If your heart is set on a Spanish style adobe home, obtaining a heavily treed lot may not make sense for you. Having an idea of the architectural style you prefer may well inform characteristics going into your building site. You may run into problems, however, if you select a specific floor plan too soon. You can always design a home to suit a landscape, but you may not be able to alter a landscape to accommodate the specifications of a predetermined plan. The configuration of rooms, the placement of windows, the location of the driveway and many other design elements will be affected by the land you build on. The land itself has long been the inspiration for truly great homes. 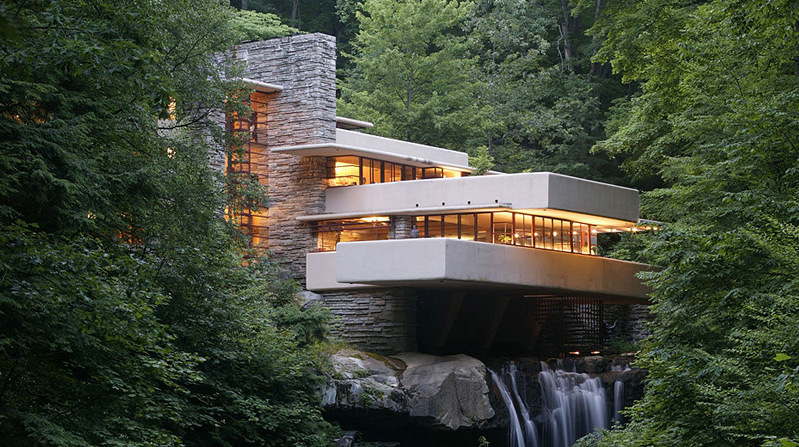 Consider Frank Lloyd Wright’s Fallingwater. Constructed of concrete slabs, the house is anchored to a rugged stone hill in Mill Run, Pennsylvania. Compare Fallingwater with Mies van der Rohe’s Farnsworth House. Made almost entirely of transparent glass, this unearthly structure seems to float above a grassy plain in Plano, Illinois. 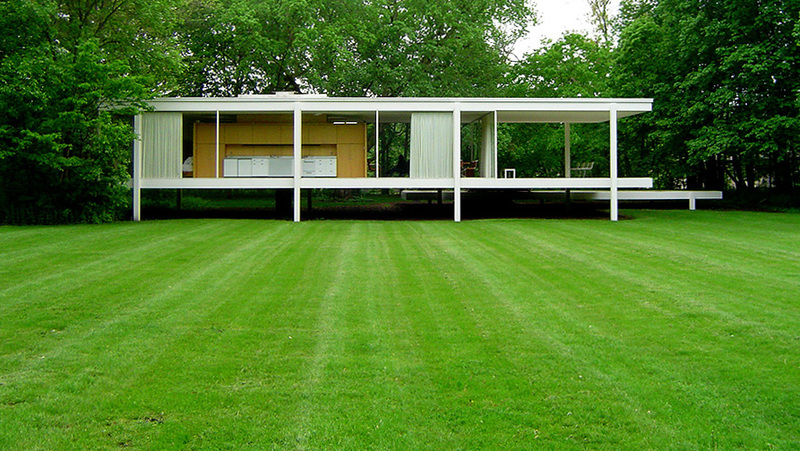 Would the Farnsworth House seem as graceful and serene perched on a rocky hill? Would Fallingwater make such a powerful statement if it sat in a grass field? Probably not. •What are the general characteristics of the land? Is it green and woodsy? Rocky and gray? Or, is it a vast open stretch with a golden hue? •Will the prevailing colors of the landscape change with the seasons? •Will the home you imagine harmonize with the landscape? •What is the prevailing architectural style of the neighborhood? •Will your proposed home fit the overall context of the neighborhood? •Will the size of your proposed house be proportionate to the size of the lot? (You don’t want to squeeze a mansion onto a postage stamp!). •Is there a street or road? Should the house face toward or away from the road? •Where are the most pleasing views? •Where does the sun rise and set? •Which views would you like to see from the living areas? From the kitchen? From the bedrooms? •How important is it to face the south? Will a southern exposure help you save on heating costs? •Is the site flat? Are there hills or streams? Are there any other geological conditions that might affect the design or placement of your home? •What is the availability of utilities/ infrastructure i.e. sewer/ gas/electric services. Availability (or lack thereof) always has huge cost ramifications.